Portable Text Editor that Keeps You Organized! Liquid Story Binder XE was available as a giveaway on October 14, 2007! Liquid Story Binder XE is a uniquely designed word processor for professional and aspiring authors, poets, and novelists. Writing software for those who require the editing ability of a commercial text editor as well as a document tracking system. It is for those who want the freedom to create, outline and revise but are tired of losing track of their work. Liquid Story Binder features: Multi-Window Display, Spell Checking, Thesaurus, Reference Notes, Timelines, Story Boards, Plot Outlines, Dossiers, Audio Recorder, Image Gallery, Reader, Manuscript Formatting, Time and Word Count Tracking, Chapter and Book Backups, Paragraph and Punctuation Cleaning, Toolbars, Templates, Portable Drive Install, Universal Search, Repetition Visualizer, External Editing, Project Goals, Playlists. I downloaded this and did everything I was supposed to before the timelimit was up, but today I got a notice that I have to register the software and pay money?! I thought this was free? The best software for author's I've seen so far. Please do not compare to Word; Word is designed solely for business writing, whereas this is for creative writing. The only problem I've seen so far is that there is no "justify" function, i.e. lining up the text on both the left and right side. Overall, excellent program, well worth the $50 otherwise. Thank you GAOTD! I'm STILL sad I missed this one. Comment to #64...I have to agree with you, Mike, up to a point. No program, text editor, word processor, etc., will turn a bad writer into a good one. However, now having transferred my novel--notes, outlines, character lists and so forth--from MSWord and Excel files into Liquid Story Binder XE, and having written for a full day in it, I found it quite useful and productive. The integration is great! My publishers, too, want MSWord docs, and not my index cards and scraps of paper. So guess what. Once I've completed the creative process, which involves all manner of insanity, tools, tricks...whatever it takes to weave a story and get it out of my brain and onto paper...it's a quick and simple matter to transfer the finished writing from LSB XE back into MSWord and submit it. MSWord is a processor to handle hundreds, nay thousands, of writing tasks that I simply never need to use in novel and short-story writing. However, Black Obelisk Software has created this text editor, I think quite well, to meet the specific needs of writers producing novels, short stories and poetry. I certainly won't be dumping MSWord, anymore than I'll be getting rid of my legal pads, pens and pencils, but I'm definitely going to add Liquid Story Binder XE to my arsenal of writers' tools. i have uninstalled it and reinstalled TWICE now...the activate .exe just freezes every time. *sigh* is there ANY other way to get this code? i know where to paste it! Hey this is pretty cool. I think I might even attempt to write my life story. I'm so motivated by it! I've been just pushing buttons and playing around with it. And it seems to do a lot. I like that you have the option to automatically save everything to one nice neat place. What I did finish writting, I went back and looked up later and had no problem what so ever finding it all! Really nice little app! The price isnt so bad either if you are serious about writting. Would make a nice diary also! For those who dont think that thier life scribblings would be worth publishing. You never know though! You could be writting out the next big novel and not even realize it! Thank you GAOTD and Black Obelisk Software. This is definitely worth it! Hey this is pretty cool. I think I might even attempt to write my life story. I'm so motivated by it! I've been just pushing buttons and playing around with it. And it seems to do a lot. I like that you have the option to automatically save everything to one nice neat place. What I did finish writting, I went back and looked up later and had no problem what so ever finding it all! Really nice little app! The price isnt so bad either if you are serious about writting. Would make a nice diary also! For those who dont think that thier life scribblings would be worth publishing. You never know though! You could be writting out the next big novel and not even realize it! Thank you GAOTD and Black Obelisk Software. This is definitely worth it! Very easy to install, get the activation key, and input it so the program is registered. Most people seem to have problems with C (reading) and D (following instructions). There was ONE program (can't remember which one now) that I had a bit of a problem getting registered, as most people did, but that was the only time the readme file was not perfectly clear. Otherwise, there's never been a problem installing and activating or registering the programs. Took a look at the examples and played with it some. Looks like an interesting program, but it will take a bit to learn how to use all its features to the max. I like the workspace concept, and the idea of keeping the images and music to serve as inspiration and to make the writing environment more pleasant all in one place is a nice one. Not sure whether the program can be used to make multi-media presentations as well - haven't played with it enough to find out. Agree with those who have said the white letters on a dark background should not be the default. It's harder to read, and then it would require changing things to something standard when it comes to submitting the work to anyone who doesn't have the program, which would include most people. 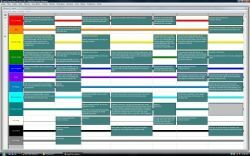 There are freeware programs out there that do a decent job of organizing your writing, but they tend to be rather bare-boned and they fill just the organization need, so it's a bit unfair to compare them: a case of apples and oranges. And both types of programs have their place. All in all, I'm glad I got this one today, and I look forward to playing with it some more in the coming days and exploring all it has to offer. Thanks, Black Obelisk Software and GOTD! Very easy to install, get the activation key, and input it so the program is registered. 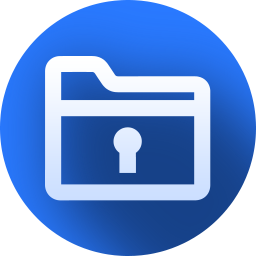 All you have to do is the same thing you have to do with all GOTD offerings: A. Download the zipped file by following the link given on this download page (NOT the developer's download page!) B. Unzip the zipped file. (This particular one contains three files: 1. Activate.exe, 2. readme.txt, and 3. Setup.exe) C. Read the "readme.txt" file which tells you exactly what to do and in what order D. Follow the instructions Most people seem to have problems with C (reading) and D (following instructions). There was ONE program (can't remember which one now) that I had a bit of a problem getting registered, as most people did, but that was the only time the readme file was not perfectly clear. Otherwise, there's never been a problem installing and activating or registering the programs. Took a look at the examples and played with it some. Looks like an interesting program, but it will take a bit to learn how to use all its features to the max. I like the workspace concept, and the idea of keeping the images and music to serve as inspiration and to make the writing environment more pleasant all in one place is a nice one. Not sure whether the program can be used to make multi-media presentations as well - haven't played with it enough to find out. Agree with those who have said the white letters on a dark background should not be the default. It's harder to read, and then it would require changing things to something standard when it comes to submitting the work to anyone who doesn't have the program, which would include most people. There are freeware programs out there that do a decent job of organizing your writing, but they tend to be rather bare-boned and they fill just the organization need, so it's a bit unfair to compare them: a case of apples and oranges. And both types of programs have their place. All in all, I'm glad I got this one today, and I look forward to playing with it some more in the coming days and exploring all it has to offer. Thanks, Black Obelisk Software and GOTD! Thank you GAOTD! After coming home to find my air conditioner fried it was nice to find this nice little program. Activated and registered easily, and after playing with it for a few minutes, I think I'm really going to get a lot of use out of it. For writers who have extreme OCD. I prefer my notes, timelines, side stories, back stories, etc. etc. to be everywhere because I work better with utter chaos. Good for those who like organization and want everything in one spot. Wow, this is an excellent offering. For several years I have used Roughdraft when writing, as it is a small program which provides the essentials I need without piling on unnecessary bulk. Similarly, I use Notepad ++ for code work. This software looks like it offers a great deal of functionality and versatility for those times when one needs to be organize large writing projects. I can see that it's not going to replace Roughdraft for my daily needs, as it is a large program with many options and tools, but this will be perfect for the upcoming NaNoWriMo, and similar projects. Thanks, GAOTD! I look forward to digging into this and exploring all the features it has. Wow, this is an excellent offering. For several years I have used Roughdraft when writing, as it is a small program which provides the essentials I need without piling on unnecessary bulk. Similarly, I use Notepad ++ for code work. This software looks like it offers a great deal of functionality and versatility for those times when one needs to be organize large writing projects. I can see that it's not going to replace Roughdraft for my daily needs, as it is a large program with many options and tools, but this will be perfect for the upcoming NaNoWriMo, and similar projects. Thanks, GAOTD! I look forward to digging into this and exploring all the features it has. Once again, today's GOTD comments/reviews are remarkably useful. Specific questions about this program were clearly and respectfully (mostly) answered, sometimes after a fair amount of investigation. I went from "hmmmm" to "will try it out" to "will definitely use it regularly" based on a couple hours playing with the program AND the info developed in this thread. Other than a somewhat sparse thesaurus, I haven't found any serious or even minor limitations/issues/problems with this program. I am very comfortable moving my writing projects into Liquid Story Binder XE. It's not a godsend, it's just a tool - that seems to work for me. Cheers to GOTD and Black Obelisk for offering Liquid Story Binder XE. And cheers to all the posters who together probably doubled the usefulness of the program in a fraction of the time it would have otherwise taken me to get there - if ever. Too much Pollyanna for the nay-sayers? How about this? Today's GOTD comments add up to a rare, pristine drop in the internet slime bucket. Ascerbic enough? Once again, today's GOTD comments/reviews are remarkably useful. Specific questions about this program were clearly and respectfully (mostly) answered, sometimes after a fair amount of investigation. I went from "hmmmm" to "will try it out" to "will definitely use it regularly" based on a couple hours playing with the program AND the info developed in this thread. Certainly nothing is more subjective than the writing process. That being said, I think I'll give this program a run until they come up with "the program to flag me if Character A had a conversation with Character B 10 days after character B died, if Character C went to college at age 12, or if Character D was having a face-to-face conversation with Character E while character D was in Dallas and Character E was in Tokyo." (see post#20, Kevin P.) Other than a somewhat sparse thesaurus, I haven't found any serious or even minor limitations/issues/problems with this program. I am very comfortable moving my writing projects into Liquid Story Binder XE. It's not a godsend, it's just a tool - that seems to work for me. Cheers to GOTD and Black Obelisk for offering Liquid Story Binder XE. And cheers to all the posters who together probably doubled the usefulness of the program in a fraction of the time it would have otherwise taken me to get there - if ever. Too much Pollyanna for the nay-sayers? How about this? Today's GOTD comments add up to a rare, pristine drop in the internet slime bucket. Ascerbic enough? Hope this helps all of the current authors out there!! Hi, I just downloaded this program and gave it a 10 second try--in response to the posting about importing or opening existing books/works you have written in MS Word, all you have to do is open a new book in this program and open your Word doc and copy/paste it into the program--it works fine (I always use select all (Ctrl+A), Ctrl+C (Copy) and Ctrl+V (Paste) and my shortcuts worked in this program as well.) Hope this helps all of the current authors out there!! This is super great! Thanks GAOTD! This is great for poets, people who write songs, aspiring writers, people who write for a living, and people who just write articles for websites like I do. This is super great! Thanks GAOTD! This is great for poets, people who write songs, aspiring writers, people who write for a living, and people who just write articles for websites like I do. Enjoy! I was thrilled to see this, just in time for Nano (National Novel Writing Month, for the uninitiated). Not only did I get my project outlined, but I also began inserting an outline for a rewrite of a previous work. Some of the functions seem complicated, and I will need to play with it a while to get used to it, but it looks very, very promising. Thanks, Giveaway of the Day! I was thrilled to see this, just in time for Nano (National Novel Writing Month, for the uninitiated). Not only did I get my project outlined, but I also began inserting an outline for a rewrite of a previous work. Some of the functions seem complicated, and I will need to play with it a while to get used to it, but it looks very, very promising. Thanks, Giveaway of the Day! #62 Paulus When you install the trial from the publishers website it expires in 30 days BUT if you download it here today and install and activate it here today, you get a fully functional registered version. If you didn't, then you installed it WRONG. # 42 The giveawayoftheday may start at 12 am where you live. But there is this little thing called a TIME ZONE that determines what time the new giveaway becomes available. For me it is 2am and for my sister in New York it is 3 am. Not everyone lives in YOUR time zone. I am stupified by the amazing amount of posiblities and versatility this incredibly small program has. It's blazingly fast (I suspect really good and clean programming behind this seamingly little gem) and I find all the options quite easy to find and to understand. I didn't like the initial white on black mode, so I went to "Display/Display Options" and changed it to black on white. Simple. Want to import test from an existing document; create a shortcut (menu Create), look up the file needed and copy and paste. Again simple! There are numerous built in examples to get an idea how to use the program and it took me hardly any time to replicate them. It's no program for people who suffer a lack of knowledge and imagination in using computers and publishing, which might explain the negative comments on this page. I, for one, wish I had known that this kind of software existed earlier in life. Thanks Black Obelisk, this is definitively one of the best, original and innovative surprises ever on this site. I am stupified by the amazing amount of posiblities and versatility this incredibly small program has. It's blazingly fast (I suspect really good and clean programming behind this seamingly little gem) and I find all the options quite easy to find and to understand. I didn't like the initial white on black mode, so I went to "Display/Display Options" and changed it to black on white. Simple. Want to import test from an existing document; create a shortcut (menu Create), look up the file needed and copy and paste. Again simple! There are numerous built in examples to get an idea how to use the program and it took me hardly any time to replicate them. It's no program for people who suffer a lack of knowledge and imagination in using computers and publishing, which might explain the negative comments on this page. I, for one, wish I had known that this kind of software existed earlier in life. Thanks Black Obelisk, this is definitively one of the best, original and innovative surprises ever on this site. #100 This is NOT a 30 day trial. It is fully registered when installed and activated CORRECTLY. Unless I'm mistaken, all Hempman did was copy a description of a product he was recommending after one of his reviews (And come on - with the way it was written, would couldn't tell were it came from?). This isn't a bad thing... lazy, yes, but it's not passing off a review as his own; Just being too lazy to describe the product he was recommending instead. Considering the main software being reviewed was not reviewed in such a fashion, I don't believe this has any effect on his credibility. In fact, baseless (Yes, it's baseless as you imply the rest of his review is invalid because of that) claims make you look less credible. Now remember: If you can't get along, just ignore each-other. I'm not going to lecture you on the usage of web filters since you both should be able to figure that out (and if not, well, feel free to ask). As much as I dislike Hempman, I have to say the following: Unless I'm mistaken, all Hempman did was copy a description of a product he was recommending <em>after</em> one of his reviews (And come on - with the way it was written, would <em>couldn't</em> tell were it came from?). This isn't a bad thing... lazy, yes, but it's not passing off a review as his own; Just being too lazy to describe the product he was recommending instead. Considering the main software being reviewed was not reviewed in such a fashion, I don't believe this has any effect on his credibility. In fact, baseless (Yes, it's baseless as you imply the <em>rest</em> of his review is invalid because of that) claims make <em>you</em> look less credible. (Besides, if the description is accurate, <em>credibility</em> isn't the issue.) Either way, bickering on here is (aside from pointless) unsightly for <em>both</em> of you <em>and</em> this website. I haven't seen that many comments deleted in the last few days in a while... Now remember: If you can't get along, just ignore each-other. I'm not going to lecture you on the usage of web filters since you both should be able to figure that out (and if not, well, feel free to ask). #56, Hempman, while I find the Hempman-bashing here to be unfortunate, there are two issues with your reviews which I find objectionable. You're always falsely claiming that programs have security problems, that they're trying to "phone home" when they're not. When you and International made that claim about Astro Gemini's 3D Wild Dolphin, I posted my firewall logs and asked you and International to do the same, but of course neither of you did because it doesn't attempt to access the Internet, just as Liquid Story Binder XE doesn't. Second, most of the technical information you post tends to be wildly inaccurate. While I usually let that slide, I don't think I should. Many people assume you know what you're talking about. Therefor, you should look up technical information before posting. As for Liquid Story Binder XE, it's not the type of software that interests me, and I'm not going to take the time for an in-depth review. It's unfortunate that the author chose a default white-on-black, when black-on-white is more legible and causes less eye strain (well-known, studies have shown this). You can change it, but you shouldn't have to. You can also set it up to use external editors, but they're poorly integrated. #56, Hempman, while I find the Hempman-bashing here to be unfortunate, there are two issues with your reviews which I find objectionable. You're always falsely claiming that programs have security problems, that they're trying to "phone home" when they're not. When you and International made that claim about Astro Gemini's 3D Wild Dolphin, I posted my firewall logs and asked you and International to do the same, but of course neither of you did because it doesn't attempt to access the Internet, just as Liquid Story Binder XE doesn't. Second, most of the technical information you post tends to be wildly inaccurate. While I usually let that slide, I don't think I should. Many people assume you know what you're talking about. Therefor, you should look up technical information before posting. As for Liquid Story Binder XE, it's not the type of software that interests me, and I'm not going to take the time for an in-depth review. It's unfortunate that the author chose a default white-on-black, when black-on-white is more legible and causes less eye strain (well-known, studies have shown this). You can change it, but you shouldn't have to. You can also set it up to use external editors, but they're poorly integrated. This software requires that you take the code and manually copy it into the Registration. Go to the LAST item on the top bar labled "ABOUT"
with "help". The next to last item is "Register Software". Click on that. A splash screen will pop up that says at the bottom to "Please Enter your Liquid Story Binder Registration Key:"
thanks you for registering...and you're homefree. Note: The registratrion code pops up once you've installed it. Be sure not to close it. It does that the same time the activation screen comes up...which is basically useless for this operation. This software requires that you take the code and manually copy it into the Registration. Go to the LAST item on the top bar labled "ABOUT" When you click on that, there are 6 lines below that drop down, starting with "help". The next to last item is "Register Software". Click on that. A splash screen will pop up that says at the bottom to "Please Enter your Liquid Story Binder Registration Key:" It's a long string of numbers and alphas. Once that is entered, it thanks you for registering...and you're homefree. Note: The registratrion code pops up once you've installed it. Be sure not to close it. It does that the same time the activation screen comes up...which is basically useless for this operation. It works great on both of them. Putting in the Registration code was easy as pie. Ooops! I forgot... One laptop is XP Pro, Media Center edition, and the other laptop is NEW Vista Home Premium... It works great on both of them. Putting in the Registration code was easy as pie. Man. This is the giveaway of the Decade! For the last 6 months, I've been stashing notes on a book I want to write. Those notes are in a mess, and I've been looking high and low for an affordable piece of software that can track all the timelines, characters, and plot twists. Not only that - its FREE!! It lets you add in WordWeb as a dictionary (which I love)...and it outputs all the files in RTF format (something that is a MS Word format) so all your text stays formatted. It gives you a special print output...so you can print it to a PDF if you have the conversion software (free) loaded. AND it even lets you use graphics. There's an option too, that you can put a copy of the software on a thumbdrive, and write where ever you are. Like at lunchtime at work!! I loaded it and installed it on both my laptops. This is going to be something I wind up using every day. I can even write complex reports for work on this!! Man. This is the giveaway of the Decade! For the last 6 months, I've been stashing notes on a book I want to write. Those notes are in a mess, and I've been looking high and low for an affordable piece of software that can track all the timelines, characters, and plot twists. This does it all...and more!' Not only that - its FREE!! It lets you add in WordWeb as a dictionary (which I love)...and it outputs all the files in RTF format (something that is a MS Word format) so all your text stays formatted. It gives you a special print output...so you can print it to a PDF if you have the conversion software (free) loaded. AND it even lets you use graphics. There's an option too, that you can put a copy of the software on a thumbdrive, and write where ever you are. Like at lunchtime at work!! I'm totally impressed. I loaded it and installed it on both my laptops. This is going to be something I wind up using every day. I can even write complex reports for work on this!! GOTD: THANK YOU!! This is definitely a unique program. The interface and navigation needs work, along with some exports/imports. It's not worth $50 over, but if they brought the price down to $25, there would be plenty more of people willing to buy it. It has everything a writer would want, though it mostly aimed at novelists. Just something I noticed. The first good download since the summer! Good job guys! This is definitely a unique program. The interface and navigation needs work, along with some exports/imports. It's not worth $50 over, but if they brought the price down to $25, there would be plenty more of people willing to buy it. It has everything a writer would want, though it mostly aimed at novelists. Just something I noticed. The first good download since the summer! Good job guys! I think that with some effort, you could find this a very useful tool for organizing your writing and media projects. It IS a rather complex program, but it has many useful features. I particularly like the line notes feature. Simply start a line with two periods and you have a note that will not be included in the word count or other statistics and will not print with the rest of the document- a very handy feature to use for research notes, etc. For anyone who wishes to use a different editor in LSB, you can set the default external editor under Preferences > External Document editor. All you have to do is find the .exe for the editor you wish to use and click it. After creating a new book in Liquid Story, I changed the external editor and was able to open a chapter, click file > external edit and then when I saved the file and closed the external editor the edits I had made would appear in my chapter and I could make changes to the resulting chapter with the Liquid Story editor or the external application. I tested both Word 2000 and OpenOffice Writer. They both worked well with simple text. I also fiddled around with changing the external image editor. In order to open an image you have to click create >new image.Gimp did not like being opened from LSB- it did not recognize the LSB format, but the gif files I had already created with Gimp opened with LSB just beautifully. I could open Fast stone Image Viewer from LSB, but I had to manually find the image file to edit it. Photoshop Elements 5 opened fine from LSB, but again, I had to point to the image location manually. I like that images are copied to your LSB book "Images" folder when you open them.I was able to edit the .gif file that had been placed in my book directory without altering the original. I could see that all layer information of the original animated gif was still present. I was able to open jpg, gif, and bmp. I was not able to open png, svg or scribus files. #80 mentioned celtx, which is a good alternative to this program. It is a great free program geared toward screen- and play- writers and collaborating with others over the net. Celtx has a nice interface and I like its notecard and character features. It is very, very good for organizing character development- likes, dislikes, etc. but it lacks the timeline feature of LSB. I like some features of both programs. I would try them both and see which best fits you. Having read all 92 (as if now) of the comments, it astounds me that so many of the supposed writers who submitted reviews lack the ability to spell simple words. It's bad enough not to know the proper spelling, but not using the spell checker available on most word processing programs is inexcusable. At best, it's due to laziness. At worst, it is an indication that they think that those of us who read their comments aren't worthy of the effort. We deserve the same effort that you put into the documents you send out to potential publishers, which I would expect is better than that which they put in here. This is a great find. I've been wanting this app for quite some time! Thanks, GOTD! Ah, wait, I found the registration key. I just had to switch winzip back to the classic mode and the file I needed was right there. After playing with this for an hour, I have a few likes and a lot of dislikes. For the most part, I like how you can take statistics of your document and it is very feature-rich. The line notes part comes in very handy, as well as a separate note window you can use. I really like the sequencer (though it seems that the storyboard and timeline duplicate the same function), and the dossier seems to be a creative way to keep track of your characters. I also like the formatting tools, though it takes a bit to learn how to use them correctly. However, I really hate the filing system. For one thing, it assumes that the work you do is for books. I also write short stories, and it seems that the best way to organize short stories is if you create a "book" named short stories, then have the titles of the stories as chapters. It makes for a filing nightmare if you want to save extra stuff to Windows folders. What I've resorted to doing is working on my story, then exporting it to an external editor to do the actual saving to my folders. Pretty complicated. I also use a lot of webpages in my research, and though it's great for saving shortcuts, there is no option for saving webpages (at least, none I could find). Plus, there is so much in this program, it feels very bloated. I already mentioned the sequencer, the timeline and the storyboard, which to me felt like the same thing. Also, the programs seems geared towards those who outline and plan their story first, then start writing. I'm one of those who, when I get a story idea, just write it out, then doing the planning later. It was quite annoying to create a new book to start my work, then hunt for the actual window to start typing in. I suppose saving a workspace would make it easier once a new book is created, but for new projects, it's still a pain. Finally, I do all my writing on a laptop, which means that all the windows LB wants me to open makes for a very crowded workspace. Some windows went off my screen and I had to move them manually if I wanted to read what was in them. So, would I pay $50 for this? Probably not. I don't really care about the image dossiers or music. However, if they streamlined it and put out a lite version for $15-20, I would. This would make a great companion to RoughDraft, if done right. After playing with this for an hour, I have a few likes and a lot of dislikes. For the most part, I like how you can take statistics of your document and it is very feature-rich. The line notes part comes in very handy, as well as a separate note window you can use. I really like the sequencer (though it seems that the storyboard and timeline duplicate the same function), and the dossier seems to be a creative way to keep track of your characters. I also like the formatting tools, though it takes a bit to learn how to use them correctly. However, I <i>really</i> hate the filing system. For one thing, it assumes that the work you do is for books. I also write short stories, and it seems that the best way to organize short stories is if you create a "book" named short stories, then have the titles of the stories as chapters. It makes for a filing nightmare if you want to save extra stuff to Windows folders. What I've resorted to doing is working on my story, then exporting it to an external editor to do the actual saving to my folders. Pretty complicated. I also use a lot of webpages in my research, and though it's great for saving shortcuts, there is no option for saving webpages (at least, none I could find). Plus, there is so much in this program, it feels very bloated. I already mentioned the sequencer, the timeline and the storyboard, which to me felt like the same thing. Also, the programs seems geared towards those who outline and plan their story first, <i>then</i> start writing. I'm one of those who, when I get a story idea, just write it out, then doing the planning later. It was quite annoying to create a new book to start my work, then hunt for the actual window to start typing in. I suppose saving a workspace would make it easier once a new book is created, but for new projects, it's still a pain. Finally, I do all my writing on a laptop, which means that all the windows LB wants me to open makes for a very crowded workspace. Some windows went off my screen and I had to move them manually if I wanted to read what was in them. So, would I pay $50 for this? Probably not. I don't really care about the image dossiers or music. However, if they streamlined it and put out a lite version for $15-20, I would. This would make a great companion to RoughDraft, if done right. Great timing with NANOWRIMO (http://nanowrimo.org) coming up. I wish I had found this before I purchased New Novelist. Installed three times, tried to follow instructions but can't find anyway to get to an activation key. Looks like it's back to my good ol' Writer's Cafe program. It doesn't seem to run on Vista Ultimate. I tried re-installing several times but when trying to launch the program, a message pops up saying the program stopped working. It runs great on WinXP though. Thanks! You can change the color scheme by clicking on Display> Color Scheme. then double-clicking on Window Background Color, Main Window Color, etc., which brings up a palette of Standard Colors or User-defined Custom Colors. With a scheme of White Main Window Color and White Window Background color, my Chapter 1 text shows up as normal black text on white background-- and the same when exported to Open Office Write. Curiously, if you open, for example, the file "Hound of the Baskervilles- Chapter 1" (almost reason enough for downloading the program :>))you see gray and white text on a black background. However, if you click on Edit>Select All and then Format>Font Color> selecting Black, in External Edit the whole text appears as normal black text on a white background in Open Office Write. From Open Office, the text can be saved in several Microsoft Word formats or as OpenDocument text (*.odt). #18 You can change the color scheme by clicking on Display&gt; Color Scheme. then double-clicking on Window Background Color, Main Window Color, etc., which brings up a palette of Standard Colors or User-defined Custom Colors. With a scheme of White Main Window Color and White Window Background color, my Chapter 1 text shows up as normal black text on white background-- and the same when exported to Open Office Write. Curiously, if you open, for example, the file "Hound of the Baskervilles- Chapter 1" (almost reason enough for downloading the program :&gt;))you see gray and white text on a black background. However, if you click on Edit&gt;Select All and then Format&gt;Font Color&gt; selecting Black, in External Edit the whole text appears as normal black text on a white background in Open Office Write. From Open Office, the text can be saved in several Microsoft Word formats or as OpenDocument text (*.odt). This program is a toolbox for aspiring authors. It will not turn an illiterate nincompoop into William Shakespeare etc.. You have to have the talent, desire and drive to create a great literary work yourself: This will only help to bring it out of you. If it seems complicated, that's because it is loaded with tools to help you work. It uses the Rich Text Format (.rtf) which is the most common generic format after plain text used on the Microsoft operating systems. And yes, even Microsoft Word can read, edit and save as Rich Text. This program appears to have been developed by an individual, not a giant corporation, and as such would not be able to deal with the licensing fees or complexities of also developing a Microsoft Word based editor. However, you can define an external editor with it which can be Winword, OpenOfficeWriter or whatever-you-prefer, but I haven't had enough time to see how well that works! If you already have Word documents you want to use without using Word as an external editor, save them from Word as Rich Text documents and they will be readily accepted by this program. Then when you finish your masterpiece, you can easily open it with Word, touch it up if needed and save it as a normal Word document to satisfy your publisher's requests. I think it's best to write in the simplest format to start with anyway. Then add all the visual refinements after you've finished your work. If you don't like the looks of the program, it offers a plethora of color schemes you can choose and, if you don't like any of those, you can make your own. And the price...Is $45.95 too high a price to pay for tools to help you create a book that will in all likelihood sell for more than that if successful? Use it until you decide it's worth that much to you. I think most people have a desire to publish a book or similar. This program could be used to make that desire more possible. But, even with tools like this, it will still require determination and perseverance. Thanks Black Obelisk Software & GAOTD. This program is a toolbox for aspiring authors. It will not turn an illiterate nincompoop into William Shakespeare etc.. You have to have the talent, desire and drive to create a great literary work yourself: This will only help to bring it out of you. If it seems complicated, that's because it is loaded with tools to help you work. It uses the Rich Text Format (.rtf) which is the most common generic format after plain text used on the Microsoft operating systems. And yes, even Microsoft Word can read, edit and save as Rich Text. This program appears to have been developed by an individual, not a giant corporation, and as such would not be able to deal with the licensing fees or complexities of also developing a Microsoft Word based editor. However, you can define an external editor with it which can be Winword, OpenOfficeWriter or whatever-you-prefer, but I haven't had enough time to see how well that works! If you already have Word documents you want to use without using Word as an external editor, save them from Word as Rich Text documents and they will be readily accepted by this program. Then when you finish your masterpiece, you can easily open it with Word, touch it up if needed and save it as a normal Word document to satisfy your publisher's requests. I think it's best to write in the simplest format to start with anyway. Then add all the visual refinements after you've finished your work. If you don't like the looks of the program, it offers a plethora of color schemes you can choose and, if you don't like any of those, you can make your own. And the price...Is $45.95 too high a price to pay for tools to help you create a book that will in all likelihood sell for more than that if successful? Use it until you decide it's worth that much to you. I think most people have a desire to publish a book or similar. This program could be used to make that desire more possible. But, even with tools like this, it will still require determination and perseverance. Thanks Black Obelisk Software &amp; GAOTD. I have downloaded and registered it, so far it looks very good. I have been looking for something like this for a long time. Thank you! Activate.exe continues to fail stating that connection cannot be made and advising that I try later or check my firewall settings. I ran setup.exe anyway and it seems to have installed, but since activation failed, my copy will likely expire. It seems to run ok for now though. I like what I see so far. I too have a book project I have been working on and this may be the tool that breaks my writer's block and gets me back on track. I hope so. I will continue attempting Activate.exe and will hopefully be able to reinstall and use this program long-term. Activate.exe continues to fail stating that connection cannot be made and advising that I try later or check my firewall settings. I ran setup.exe anyway and it seems to have installed, but since activation failed, my copy will likely expire. It seems to run ok for now though. I like what I see so far. I too have a book project I have been working on and this may be the tool that breaks my writer's block and gets me back on track. I hope so. I will continue attempting Activate.exe and will hopefully be able to reinstall and use this program long-term. Thanks GAOTD. Been writing for 10+ years (using Word mostly). I've viewed programs like this periodically and am excited to give it a spin. While I believe that free-spiritedness gives us the subjects about which we write, structure (unnatural to me) is what gives us the product. My thanks to the publishers at Black Obelisk and GoD :) for sharing! To all of those who complained that they can't change the font colors, I was able to do it within a minute of starting the program. Check the Display menu and then the Display Preferences. It's all there. My text is now black on a white background using Comic Sans MS as the font. You do need to make the changes at each level but it's not difficult, just different than you're used to. Also, when you create your book you have the opportunity to select the folder where the book is stored. I was able to choose my business folder and then I added a new folder (using Windows Explorer) named My Liquid Story Binder XE. I'm not a writer but wanted to check to see if this might be useful for writing documentation for my clients. There are many subjects that I could use for multiple clients. I use Vista Ultimate on this computer along with Office 2007. I was able to open one of the documents I created by using the open command in Word. It found the rtf file immediately when I pointed it at the correct folder. Just because an application doesn't look exactly like every other application you've used doesn't mean it's not useful. I agree that there will be a learning curve but for organizing a book or documents, this could be a wonderful application. To all of those who complained that they can't change the font colors, I was able to do it within a minute of starting the program. Check the Display menu and then the Display Preferences. It's all there. My text is now black on a white background using Comic Sans MS as the font. You do need to make the changes at each level but it's not difficult, just different than you're used to. Also, when you create your book you have the opportunity to select the folder where the book is stored. I was able to choose my business folder and then I added a new folder (using Windows Explorer) named My Liquid Story Binder XE. I'm not a writer but wanted to check to see if this might be useful for writing documentation for my clients. There are many subjects that I could use for multiple clients. I use Vista Ultimate on this computer along with Office 2007. I was able to open one of the documents I created by using the open command in Word. It found the rtf file immediately when I pointed it at the correct folder. Just because an application doesn't look exactly like every other application you've used doesn't mean it's not useful. I agree that there will be a learning curve but for organizing a book or documents, this could be a wonderful application. Append to comment 77. I also use very complicated formats at work, so OpenOffice should do the trick for manuscripts also. Oh -- forgot. Append to comment 77. I also use very complicated formats at work, so OpenOffice should do the trick for manuscripts also. to #74: OpenOffice saves files in Word format. I use it at home for files I need to take home from work, where we use Word. I've had no problems. Might want to give that a whirl. After speding the morning working with this, I have to give it a pass. If one has any of the past three MS Office Suites, you have more capabilities than this does, including document tracking and everything else. There are even _real_ templates related to book, essay and script writing available for MS Office Suite products that make this look like a ten dollar hack. While I still recommend it for beginners trying out the waters for free, I can't see anyone paying the asking price. I have to admit, when I saw what was being offered today, I was pretty excited. Now that I've tried it, I'm not disappointed. It is so rich with features that it will take awhile to try them all out, but a quick run through, shows this software has a lot to offer and what I did try, worked beautifully. I found it very intuitive, but I've worked with this type of program before. Someone who has only worked with word processors will have a much steeper learning curve. I would definitely start with the examples. So far, everything that I wanted it to do, it has handled very well. It is like all these programs, you have to set up your work first (which is the hard part). Once that is done it makes keeping track of everything from text, notes, images and music(!!! )very easy. Making changes in your work is very easy. You can customize your work space and display preferences, just as you can in Windows. Even the fonts. I found it imports rtf files and it keeps all the formatting including color, even if you just cut and paste. With cut and paste you can drop text from other sources into your existing work, such as from Note Pad. By highlighting blocks of text and copying, you can drop text into another word processor. Even if you aren't working on your first great novel I can see other uses for this program. Go to "Library" on the title bar go to Liquid Story Example Book, open it then go to "Workspaces" on the title bar and check out all the examples. For someone who is writing a book or is working with an author, it's super. I have been using Celtx(which is a good free alternative)with the free Jarte as a word processor, but this is so much richer! I am sure that this program will have it's down-sides, as all software does, but what I've seen so far makes this a "must try" for those who need this type of program. I'm most happy with this offering today!! Thank you so very much GAOTD! I have to admit, when I saw what was being offered today, I was pretty excited. Now that I've tried it, I'm not disappointed. It is so rich with features that it will take awhile to try them all out, but a quick run through, shows this software has a lot to offer and what I did try, worked beautifully. I found it very intuitive, but I've worked with this type of program before. Someone who has only worked with word processors will have a much steeper learning curve. I would definitely start with the examples. So far, everything that I wanted it to do, it has handled very well. It is like all these programs, you have to set up your work first (which is the hard part). Once that is done it makes keeping track of everything from text, notes, images and music(!!! )very easy. Making changes in your work is very easy. You can customize your work space and display preferences, just as you can in Windows. Even the fonts. I found it imports rtf files and it keeps all the formatting including color, even if you just cut and paste. With cut and paste you can drop text from other sources into your existing work, such as from Note Pad. By highlighting blocks of text and copying, you can drop text into another word processor. Even if you aren't working on your first great novel I can see other uses for this program. Go to "Library" on the title bar go to Liquid Story Example Book, open it then go to "Workspaces" on the title bar and check out all the examples. For someone who is writing a book or is working with an author, it's super. I have been using Celtx(which is a good free alternative)with the free Jarte as a word processor, but this is so much richer! I am sure that this program will have it's down-sides, as all software does, but what I've seen so far makes this a "must try" for those who need this type of program. I'm most happy with this offering today!! (#59, to delete a chapter, just right click on the chapter heading in the file listing window and select delete. You change your colors for your workspaces just like you do in Windows, go to Display,then Display Preferences click on the space you want to customize, make your changes((white is included))accept...done.) Thank you so very much GAOTD! Microsoft Word? Don't need it. Use OpenOffice.org, it opens and saves to Word format...or, WordPerfect, or a bunch of other formats. Nobody needs to know that you didn't pay Bill Gates for his bloated pig of a word processor. And Liquid Story Binder saves into RTF so you're all set. Microsoft Word? Don't need it. Use OpenOffice.org, it opens and saves to Word format...or, WordPerfect, or a bunch of other formats. Nobody needs to know that you didn't pay Bill Gates for his bloated pig of a word processor. And Liquid Story Binder saves into RTF so you're all set. Do you wanna write or learn software? I like Rough Draft from the link below because it has an extra panel for notes, but is simple enough that no learning curve is required. Software doesn't make a novel. An author does. So using any kind of software to compensate for creative and structural deficiencies in narrative preparation is a displacement activity slightly less rewarding than chucking it all in for the day and going off to the pub. Actually, it's much, much less rewarding. Contrary to some earlier posts here, there's nothing wrong with MS Word. And no, you don't need the latest version. In fact, the later it is, the more bloated it is. And all you then need, in addition to MS Word, is originality of imagination, uniqueness of narrative voice, depth of characterisation, reality of dialog, and the discipline to set out your book's structure scene by scene -- pretty much in the way of screen play prep -- prior to embarking on the long, lonely slog of actual authorship. No software application yet devised offers any of the foregoing. And one which can't even deal with MS Word really isn't going to take you anywhere at all. Software doesn't make a novel. An author does. So using any kind of software to compensate for creative and structural deficiencies in narrative preparation is a displacement activity slightly less rewarding than chucking it all in for the day and going off to the pub. Actually, it's much, much less rewarding. I'm a writer. My publisher, and every publisher / agent in the business that I'm aware of, takes Word docs. Some insist on standard TNR 12pt double-spaced. Some don't, though it's better for them if it is because that way there's adequate space to scribble notes on and around the text. Publisher's editors take hard-copy plus MS Word manuscripts written to CD. (Maybe one day they'll all happily opt for Open Source, but sadly, they're a conservative lot.) And that's, er, it. Contrary to some earlier posts here, there's nothing wrong with MS Word. And no, you don't need the latest version. In fact, the later it is, the more bloated it is. And all you then need, in addition to MS Word, is originality of imagination, uniqueness of narrative voice, depth of characterisation, reality of dialog, and the discipline to set out your book's structure scene by scene -- pretty much in the way of screen play prep -- prior to embarking on the long, lonely slog of actual authorship. No software application yet devised offers any of the foregoing. And one which can't even deal with MS Word really isn't going to take you anywhere at all. This is another very good giveaway. Its useful even if you just use the formatting Center, which has many very useful functions. After a few hours of experimentation I find is excellent. I usually have 2-3 books in process at any given moment, and have covered an entire wall in my study with whiteboard on which I keep track. Liquid Story Binder may allow me to shrink that whiteboard to notes in my Palm Pilot. I found it trivial to ctl-c/ctl-v material into this software, but when a project BEGINS with this it's even less work. If I had known about this software, I would have bought it. If it meets its promise, I will. After a few hours of experimentation I find is excellent. I usually have 2-3 books in process at any given moment, and have covered an entire wall in my study with whiteboard on which I keep track. Liquid Story Binder may allow me to shrink that whiteboard to notes in my Palm Pilot. I found it trivial to ctl-c/ctl-v material into this software, but when a project BEGINS with this it's even less work. If I had known about this software, I would have bought it. If it meets its promise, I will. Thanks, GAOTD!